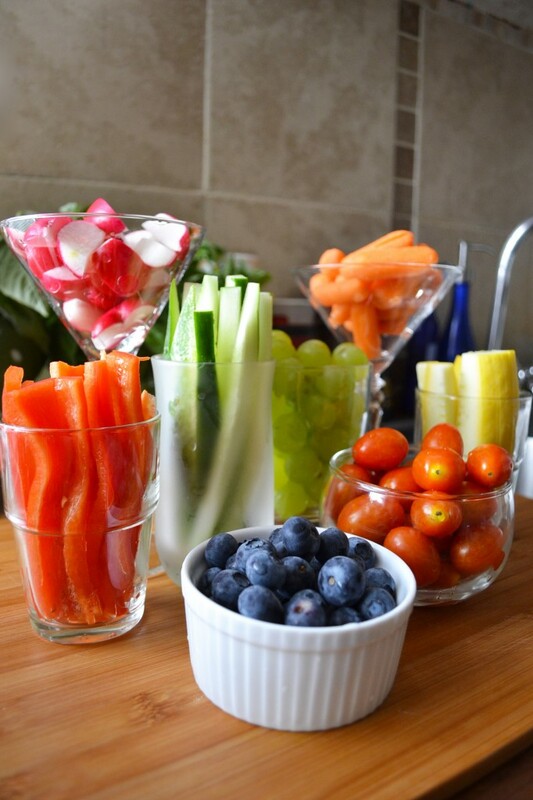 When it comes to healthy snacks, my favorite trick is exactly what you’d guess it is. Yep, presentation. If something looks pretty, I’m much more inclined to reach for it than not. That’s why I’m so fond of this photo I sourced on healthy-foreverr.tumblr.com. I probably cut up fruit and veggies once a week. But then almost immediately hide em in a container in the fridge and they go bad. In my head I always think, not this time! Sadly, the message don’t always translate. Which might be why this idea spoke to me. If I cut up some healthy snacks and put them in clear, attractive containers maybe they’ll actually make it to my plate and not the trash can. It’s worth a try, at the very least. How’s the saying go again? If you have good food in your fridge, you’ll eat good food. I just need to not forget it’s there and this method (coupled with the right covering) seems like it might do the trick.